You will fly from Nairobi to Kigali where you will do a city tour in the afternoon. The next day you drive out to the Park to track the Gorillas before returning to Kigali. Arrive from Nairobi and start your adventure with a city tour of Kigali. 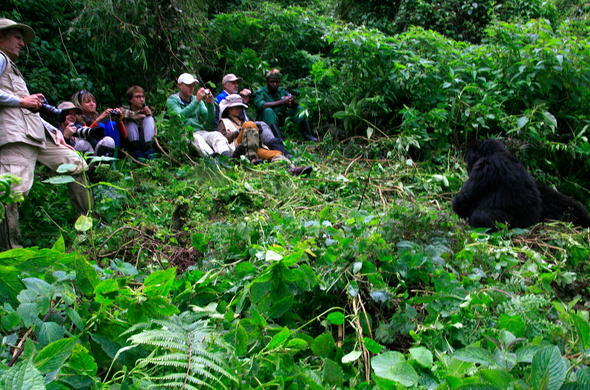 This is followed by your drive to Ruhengeri town, the main base for Gorilla trekking. Overnight at Gorilla Nest Lodge or similar on a full board basis. Enjoy a delicious breakfast at the lodge before your first exciting morning drive through Parc National Des Volcanoes for Gorilla trekking. This memorable and unique experience will leave you humbled and with a greater respect for the Mountain Gorilla and conserving their natural habitat. Lunch will be enjoyed at Muhabura hotel. In the afternoon you visit the breathtaking lakes of Bulera and Ruhondo before driving back to Kigali. Dinner and overnight at the Intercontinental Hotel on a full board basis. Breakfast is had at the hotel before your morning transfer to the airport for your flight to Nairobi, where your tour will end.